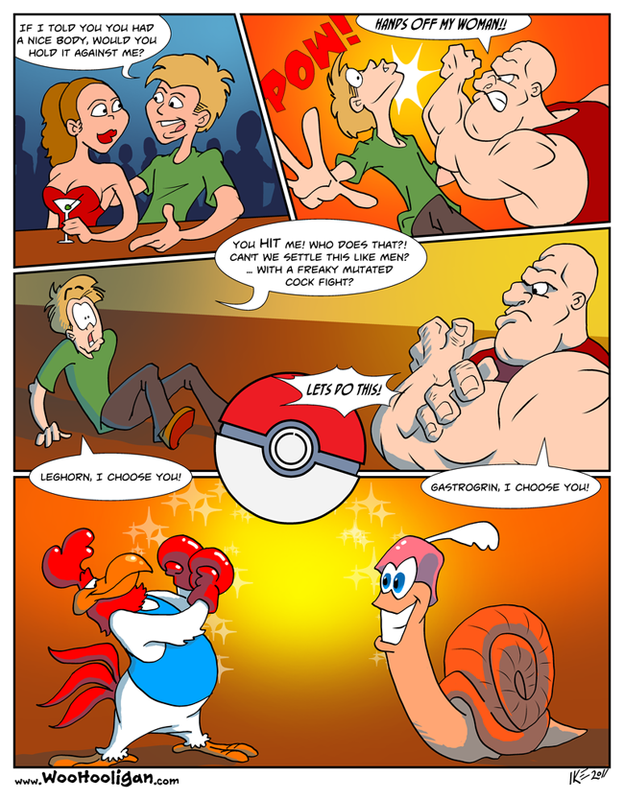 It begs the question: is there any conflict in this world that's not solved by poke-battling? Do the cops carry Pokemon instead of guns? Do they have a military to speak of or just a giant phalanx of Pokemon trainers? one of the reasons i never actually liked it, then again this game made me think. In the Poke World, you have little balls that reduce body size of actual pokemon to make them smaller, which it looks like they have total control of the science of control of matter, but then again, there is no cars? YOU HAVE AGE SPACE TECHNOLOGY AND YET YOU HAVE NO CARS AND NO TVs? And dont get me started as you never see ann ACTUAL hospital. Lord of the cats - Erm, well there are vehicles. In Ruby/Sapphire, you ride in the back of a truck. In the TV shows, in one episode, Pickachu ate something bad I think, and they went to an actual hospital. I've always wondered do the Poemon eat each other? You got a tiger-looking pokemon and it sees a chicken-lloking pokemon.. does it eat the other one? Do they use Tauros to make hamburgers? In answer to this question, it actually depends on the continuity. The predominant continuity - the games, anime, etc - doesn't touch on it other than certain Officer-class trainer battles (they only confront you at night and tend to use Growlithe) and naturally, Officer Jenny in the anime. However, the Pokemon Adventures manga continuity is much darker and more realistic; including death, grievous injury, serious organized crime, and more. Pokemon; Technology, Food, and Crime - Technology; Pokemon are the only living creatures that can be safely compressed into a Pokeball. They do have TV's and vehicles, but saying, 'You have space age technology at your fingertips is like asking, why do Amish live in the U.S.? A rustic way of life is preferred. Food; Yes, in the games and manga it's mentioned that some Pokemon are food (for Pokemon and people). It's downplayed in the show because it's for kids and Pokemon are pets. But then remember that Charlotte's Web was about a girl having a pig (bacon) as a pet whereas in some Asian cultures cats and dogs are foodstuffs.